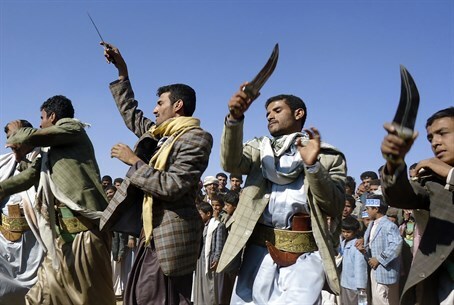 Yemen's warring factions agree to a temporary humanitarian ceasefire from Friday night until the end of Ramadan. Yemen's warring factions on Thursday agreed to a temporary humanitarian ceasefire set to begin on Friday night, United Nations envoy Ismail Ould Cheikh Ahmed said, according to Reuters. The pause in the fighting will last about a week until the end of the Muslim holy month of Ramadan, with the goal of allowing the delivery of assistance to some of the 21 million Yemenis in need. The UN has worked intensively to broker a ceasefire to halt more than three months of fighting inside the country and Saudi-led air strikes against the Houthi rebels. "For the humanitarian pause, we are going to start tomorrow evening and we have assurances from all the parties, and we are quite optimistic it will be respected," Ould Cheikh Ahmed told Reuters by phone from Ethiopia, after finishing discussions in the Houthi-held Yemeni capital Sanaa. "We have agreed to go ahead, based on two major points. The first is the commitment of all parties not to violate this ceasefire, this humanitarian pause. The second is that humanitarian assistance can reach all parts of Yemen," he added. Yemen's president Abed Rabbo Mansour Hadi, who is in exile in Saudi Arabia, has asked the UN for "guarantees" to help the truce succeed, which include prisoner releases by the Houthis and withdrawals from vast areas where it is battling local fighters, according to Reuters.